of our projects being the main differentiating factor. Provide value for money and satisfaction to customers by putting extream efforts in Architectural Planning and structural design. Keep and maintain transparent and fixed policies with equal treatment to customers. We as a group policy believe in creating as well as selling the project in shortest possible time. As a gratitude to early bird customers who put their trust with us, we offer them maximum discount for booking at early stages of the project. 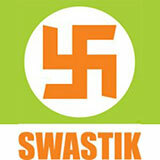 • Swastik City Planners (P) Ltd.